Is your SEO company actually performing SEO? SEO Companies fake it. Not all SEO companies are truly working on your SEO. SEO Companies that fake it are using tricks to generate temporary traffic. This traffic will not last and eventually Google will block results from these poor tactics. There are signs that your SEO company is using tricks instead of actually working your SEO. We urge you to consider these signs and question whether or not your SEO company is performing search engine optimization or actually hurting your Google rankings. Your SEO company never asked for credentials to access your site management or hosting. They never ask for your input on content or question you about your content. Your SEO Company never provides SEO reports with health checks from Google Analytics or Google Search Console. They are slow to communicate and are not communicating with you frequently. All SEO is performed from the backend of your website and cannot be performed 100% outside of your site. If you are using WordPress, like us, there are several plugins used to help manage SEO and they require setup and frequent access. 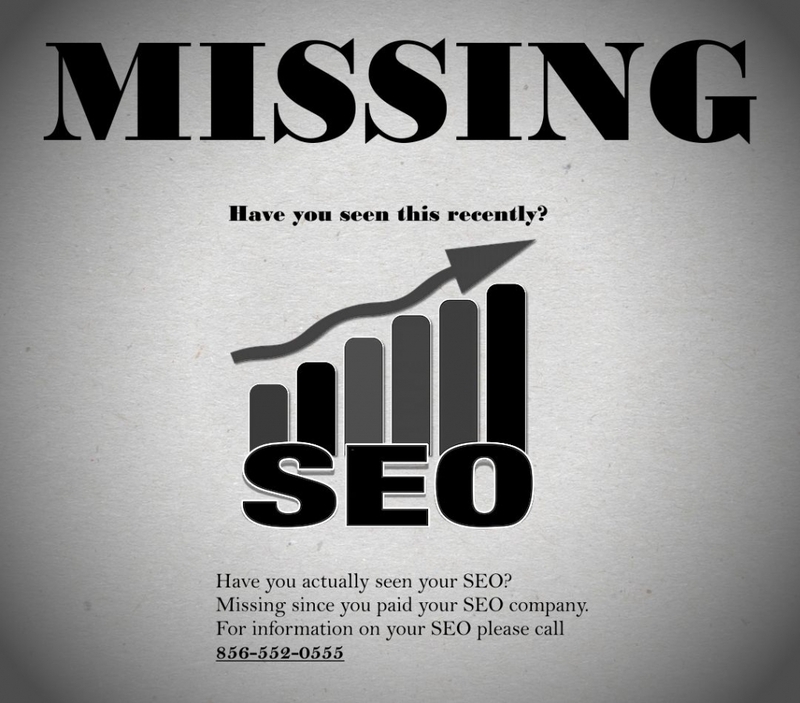 No one is performing SEO without accessing your website frequently. Sometimes on proprietary code FTP is used to manage SEO. In any of these cases SEO companies need to be managing your SEO from the website itself. If an SEO company never asks for credentials they are not logging into your website and performing any search engine optimization. SEO is about content and keyword alignment. Your content is a crucial part of SEO and without content and keywords there is no SEO taking place. SEO companies should be discussing content and keywords with you as frequently as possible. This should be discussed upfront when you agree to use their services and frequently throughout your relationship. Content is the single most important factor to your website’s success and is a huge part of SEO. SEO companies that are not asking about your content are not performing any SEO on your website. Reports speak for themselves. Without reports no one will know where they are coming from or where they are going. SEO companies should provide an initial SEO health report which include statistics to show where your site is in the beginning of the relationship. They should also be providing reports frequently that show the progress of your site’s SEO. Without reporting there really is no way to quantify SEO performance. To be performing true search engine optimization a SEO company will need to be communicating with you frequently. They should be inquiring about content and providing reports on your SEO. Without communications SEO is not happening. SEO Companies fake it. SEO is not a service you pay for and forget. It takes work and communication. Is your SEO company taking your money without actually working for it? If you need web design, hosting, SEO, website security or any related services please call us at 856-552-0555. We provide our services for Maple Shade NJ, Moorestown NJ, Cherry Hill NJ, Marlton NJ, Voorhees NJ, Mt Laurel NJ, Cinnaminson NJ, Haddonfield NJ, all of South Jersey and even nationwide. ⟵No time like the present.